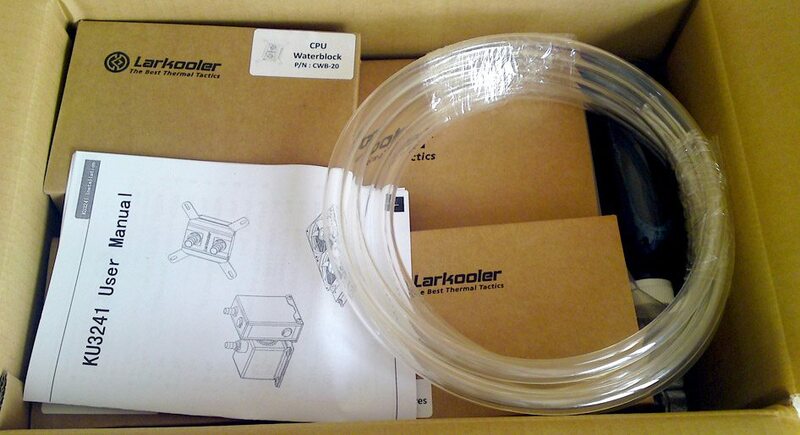 The Larkooler KU3-241 comes in a sturdy cardboard box with every component packed into its own separate cardboard box. The accessoires, like tubing, coolant and some fittings are to be found here too. 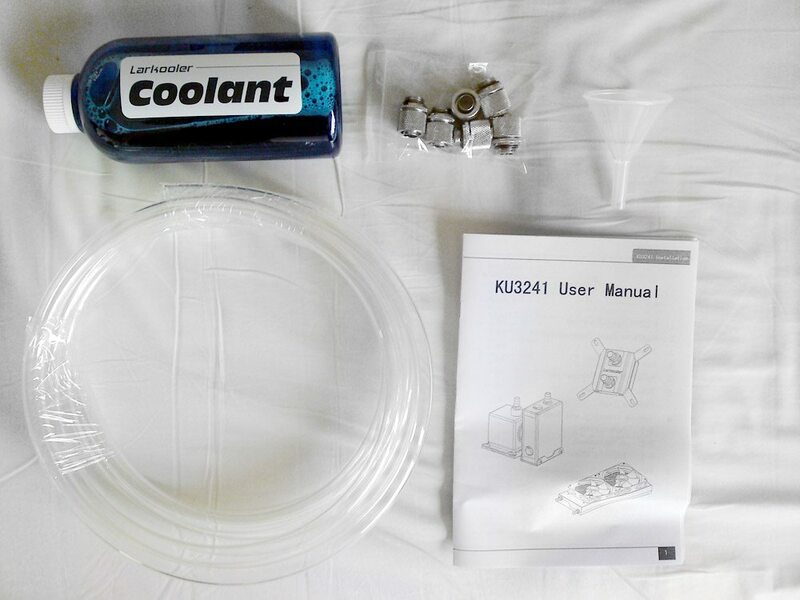 The KU3-241 comes with clear tubing and blue bright blue coolant. Also supplied is an extra set of screw-fittings, apart from the sets of push fittings that come with every component. The main user manual covers the basics of the installation and is used to set up the kit in proper order. Every component has its own manual so that you won’t be scrolling through a bible-size book to find out what part you were at again.